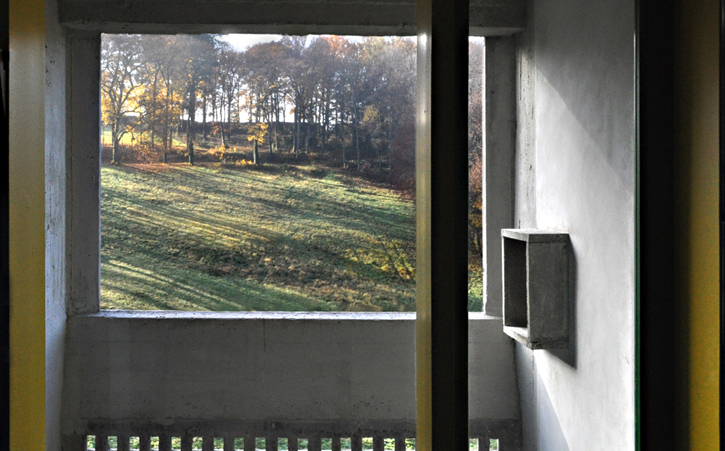 The La Tourette monastery provides an opportunity for a unique experience, within the scope of meetings or residential seminars. The raw concrete building comprises very bright areas, thanks to the wide bay windows which open out onto an exceptional panoramic view of nature. The interior layout was originally designed for the Dominican friars to work and meditate inside, and is also well-suited to business meetings. 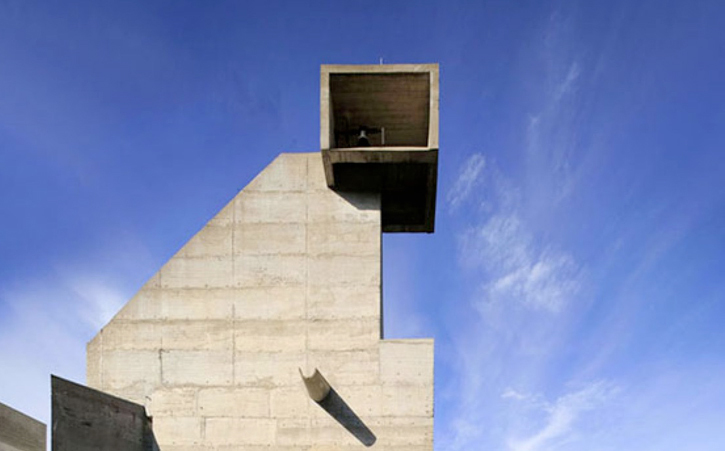 Accommodation is provided by the monastery hostelry service, offering simple yet comfortable living conditions in the preserved and renovated individual “cells”, just as Le Corbusier had originally envisaged them. The floor that is open to businesses comprises six rooms and a refectory. Bathed in light, thanks to their westerly and southerly aspects, the rooms offer a unique surrounding for meetings of up to 50 people. The wide bay windows of the meeting rooms and refectory, designed by Iannis Xenakis, composer and architect, offer an incredible view over the countryside and valley. The furniture has been chosen to match the contemporary style and the chairs are by the English designer Jasper Morrison. The rooms have all the equipment necessary for hosting businesses: WiFi, video projection, audio equipment (other technical equipment available on request). Built between 1953 and 1960 at the behest of the Dominican friars, the maturity and complexity of this building are such that, in 1986, French architects voted it the second most important contemporary construction, behind Piano and Rogers’ Pompidou Centre. Le Corbusier apprehended the rhythm of religious life along 3 distinct themes: private life, collective life and spiritual life. He has thus transformed the traditional religious symbols, integrating them into the principles of contemporary architecture to serve a human purpose. In this sense, the site is truly innovative. 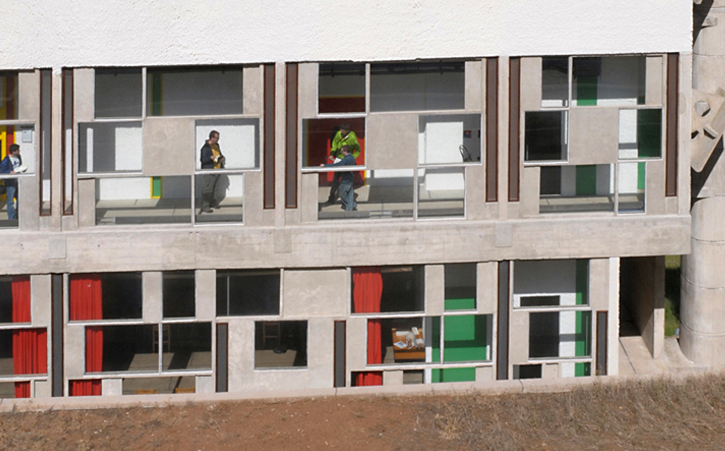 Le Corbusier has implemented the five points of modern architecture.